The last decade of the past century in the countries of the former Soviet Union, including Kazakhstan, is usually called the “turbulent 90s”. However, for Damir Karassayev the period was a fruitful time of pioneering work on the newly born Kazakhstan Stock Exchange; a time when the energy and ambition of youth led him to spearhead ground-breaking and transformative projects in Nepal and Cambodia. This later led to a successful deal with the National Bank of Canada, and the establishment of an asset management firm in Singapore – one of the world’s leading financial centers – built on innovation and his impressive track record. Mr. Karassayev became the youngest head of KASE, leading the organisation at the age of 24. “It was an unusual but exciting time back then – progressive initiatives were valued over restrictive policies, everything was being done for the first time and young energy was welcomed. Damir demonstrated a great deal of drive. He had a strong desire to build something that would meet international standards and at the same time he wanted the organisation to generate revenue for further development. Some things worked well, and we continue to reap the benefits of his work today, especially with the creation of the Eurobond market,” said the Deputy CEO of KASE Mr. Andrey Tsalyuk. 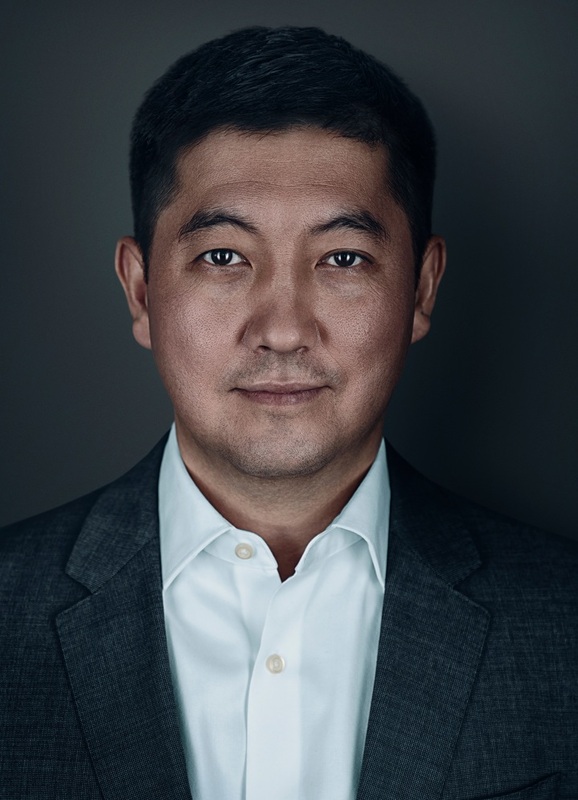 After 8 years of work at KASE, Damir felt that he needed to embrace something new and readily accepted the offer to become the CFO of Kar-Tel, a Kazakhstani mobile operator (trademark of K'Mobile, now - Beeline) in 2002. “Mobile communications were revolutionary at that time, which transformed the telecommunications industry from a utility service into a rapidly growing business of scale. While Kcell, a competitor of K'Mobile, was successfully expanding; Kar-Tel was lagging behind. The company's network clearly could not cope with growing demand for services. At that point, the company had a severe lack of funding, which impeded its ability to deal with existing problems, purchase additional equipment, expand the network and take the company to linear growth. After I joined, the turnaround was accomplished within 2 years,” stated Mr. Karassayev. In 2004 he received an offer to become the CFO of KazTransGas. “I always wanted to experience working for a state-owned company and when an opportunity presented itself, I took it without hesitation,” Damir shared with Forbes. According to him, the task at hand was large, but it boiled down to a simple goal – to solve its core problem of debt management. “We started working with credit rating agencies and managed to increase the company’s rating by 2 notches. We restructured all short-term loans into a single debut bond issue. The roadshow was very successful, the bond issuance was oversubscribed, and my mission was completed within 9 months,” Damir recollected. Mr. Karibzhanov had invited Damir to work in... Nepal. Visor had acquired a mobile operator there. However, the company had nothing besides the license – no assets, and no employees. At first, Damir began to have doubts: how does one move to an unfamiliar country like Nepal after working for a state-owned entity? On the other hand, Mr. Aidan Karibzhanov had no doubts regarding his potential business partner. He commented on his choice, “Damir, despite his young age, successfully led KASE and was well respected in a professional environment. Then he worked in a large telecommunications company during a very difficult time for the business and proved himself to be an excellent crisis manager and turnaround executive. By all accounts, he was a great fit for what was needed in Nepal”. After reflecting on the numbers, Mr. Karassayev agreed. In January 2005, he and the team he assembled arrived in Nepal. The Spice Nepal business had tough deadlines ahead. According to the conditions of the license, the network had to be launched by May 2005. Mr. Karassayev’s team managed to persuade the local regulator to extend the deadline to August that year. “In the first stage of the project, it was critical to attract financing. Nepalese banks were reluctant to provide funding since it was a new industry for them; before Spice Nepal there was essentially only one state-owned telecommunications operator called Nepal Telecom,” Damir recalled. “When we entered the market the mobile penetration rate was only 5 % with a population of almost 30 million people, which indicated a clear addressable market with natural demand for our services. However, while queues were forming in front of Nepal Telecom offices, there was sadly no demand for our SIM cards as our brand was unknown. We started marketing campaigns that built brand recognition and trust, and in just 6 months, the company became operationally profitable. During the first year we signed up more than 200,000 subscribers and provided coverage in all major cities of Nepal,” said Mr. Karassayev. With the Spice Nepal business running like clockwork, Visor received a proposal to invest in a similar project in Cambodia. In 2006 Visor bought a stake in a mobile operator called Applifone, a project which was entrusted to the “Orientalist” Karassayev who had by then a stellar business track record. “Despite the dynamic development of telecommunication projects in both Nepal and Cambodia, we understood that these were very capital-intensive endeavours, and we needed a strategic partner. In 2008 after lengthy discussions the stakes in the Nepalese and Cambodian projects were merged into one holding company with a controlling stake that was sold to the international operator TeliaSonera. The total valuation of both companies was around USD 1.25 billion,” Damir recalled. According to Mr. Damir Karassayev, simply by observing Cambodia’s economic development, it was clear that they should harness more investment opportunities to benefit from the uptrend. At that time the idea to invest into the banking sector emerged. “In 2007 with the help of my colleagues I found an opportunity to acquire a 100 % stake in Advanced Bank of Asia (ABA), which was a single branch bank back then,” our guest shared. Cambodia had a very favourable environment for attracting foreign investment due to the dollarization of the domestic payment system and its liberal capital control environment. It was easy to import capital into the country, invest into projects and later repatriate the investment returns. It was clear that in such an ecosystem, banks would play a major role and therefore have dynamic growth potential. The key challenge was to identify the right financial product to introduce to this competitive market. ABA set its sights on loans for small and micro businesses, which was the very foundation of the Cambodian economy. “A special feature of Cambodia’s financial system is that micro finance institutions (MFIs) have a significant share of the pie. MFIs lend funds to those are unable to secure bank financing to start a business at a high interest rate. Loans issued by MFIs amounted to over 20% of Cambodia’s total loan portfolio by the end of 2017. Therefore, our strategy was to provide loans to those who have already proved their creditworthiness, and to appeal to them with larger credit amounts but lower interest rates,” explained Mr. Karassayev. To implement the strategy, it was necessary to build 3 important components: create an IT infrastructure, develop a network of branches, and find and train staff who can manage a large number of clients. From his professional experience in telecommunications Mr. Karassayev knew that before starting to scale a project, one needs to prepare a solid foundation primed to handle massive growth. IT experts with experience in the largest banks of Kazakhstan were recruited to build ABA’s technology platform in 2007 and 2008 including the establishment of a processing centre and digitisation of its suite of services. By 2016, ABA was crowned the “leader in digital banking” by Phnom Penh Post. From a single branch and only 30 employees in 2007, ABA grew to 43 branches and 2,000 staff by 2016. All branches operated in unison: a client could get access to his or her accounts at any of them. Moreover, the bank became an institute for training quality financial staff. “2008 was a very difficult year for all financial institutions. However, in 2009 positive trends began to emerge, and in 2010 the bank “turned on the propeller” and started doubling its profits almost every year. Having said that, developing market banks’ profit growth tends to lag revenue growth, so from 2010 I tried convincing the partners at Visor to invest further into ABA. However, they preferred to focus on Kazakhstan and the CIS, while I was very committed to the prospects in Cambodia. As a result, in 2014 I decided to exchange the shares that I had in Visor for the stake in the Cambodian bank, and for a while I became its sole shareholder,” said Karassayev. The head of Visor Group Mr. Aidan Karibzhanov highly values his former business partner and calls ABA Mr. Karassayev's designer creation. 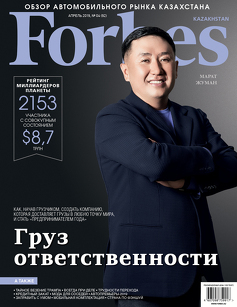 “He found investment targets, managed them and made a strategic sale all based on his foresight, leadership and execution abilities,” shared Karibzhanov. During the 2014 turning point, ABA increased its assets from USD 322.7 million to USD 505 million and net profit grew from USD 4 million to USD 7.5 million. However, the bank still needed growth capital. “We received offers from several financial institutions who were keen on funding the bank in return for a stake of the business. Among them the most interesting proposal came from the National Bank of Canada (NBC), which was a surprise as we never thought that a bank from North America would be interested in expanding into Cambodia. Shortly in May 2014 NBC became a minority shareholder of ABA with a 9.99% share and provided the much-needed growth capital for the bank. In addition to the funding Canadian investors brought their experience in the industry and enhanced ABA’s reputation,” noted Mr. Karassayev, “The bank was growing so quickly that in 2016 I offered NBC to buy a controlling stake from me, after which the share of NBC rose to 90%. As of now I own 10% of ABA." A press release from NBC states that a total of USD 148 million was invested in ABA. In 2017 the CEO of the National Bank of Canada Mr. Louis Vachon said he was very pleased with the results of ABA’s activities as “its growth continues”. Today ABA is the third largest bank in Cambodia with assets of USD 2.7 billion and net profit of USD 70 million. As a signal of confidence in the bank’s management, the investors retained Messrs Madi Akmambet and Askhat Azhikhanov who were invited into this project by Mr. Damir Karassayev. He describes the work of his colleagues as outstanding and gives them credit for the successful implementation of ABA’s growth strategy. In 2017 Mr. Damir Karassayev together with his business partner Mr. Olzhas Zhiyenkulov established Paladigm Capital, an asset management company based in Singapore. The entrepreneur said that there was a simple explanation behind his choice of country and of industry. “I wanted to be involved into a business that would allow me to apply all the knowledge gained in financial industry but at the same time to avoid excessive risks. Singapore is a global financial centre. After Nepal and Cambodia it was a logical choice,” shared Damir. Paladigm Capital has two flagship products. The first one can be called a higher yielding alternative to pension funds consisting of a diversified fixed income portfolio. The second one - a fund consisting of a portfolio of shares of private US high-tech companies with a valuation of USD 5 billion and above (unicorns), which have a high probability of significantly increasing their value in the near-term through liquidity events like an IPO. Our focus clientele are businessmen who had prior exposure to Kazakhstan and are looking for an alternative to bank deposits. 2. ABA Bank - 43% per annum.